The preview to Yscariot (subtitled Neo-Alpha) has been downloaded over Eleven-Thousand One-Hundered and Eleven times! Never in life has anything this great happened in Marcus Medina’s creative career. X’el Studios is proud to gain every follower, reader, and supporter of Yscariot! Let us know what you think! Enjoy reading as the epic is currently being worked on! Thank you! 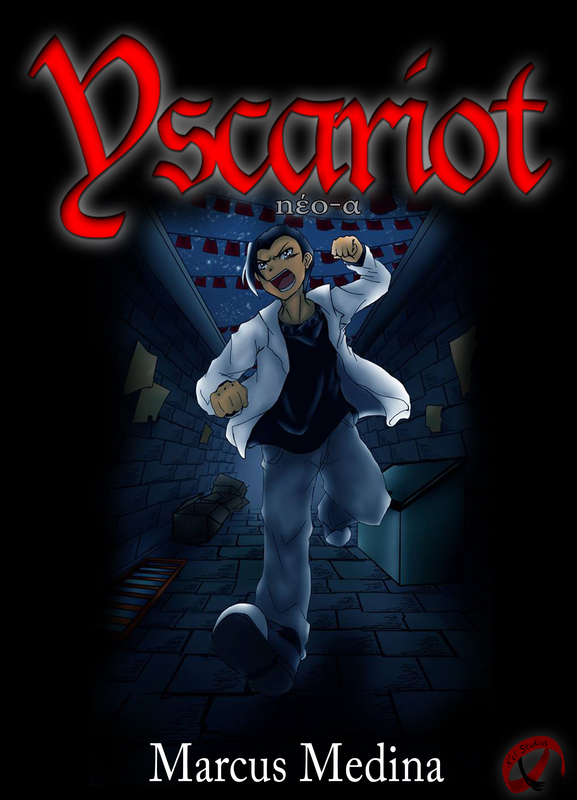 To enjoy an early reading of Yscariot, please visit the downloads page! THANK YOU SO MUCH for downloading the Neo-Alpha! Keep it coming. Tell your friends and family to visit the Downloads page. It’s as easy as a button click, and at the top of the site. DON’T FORGET TO rate the book at Google Books (even if you didn’t download it there first. You should still be able to leave a comment).